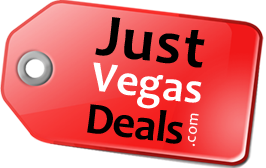 I launched JustVegasDeals.com a little over a year ago and it’s quickly becoming of Las Vegas’ most popular travel sites! The site is updated daily and feature’s Las Vegas’ hottest daily deals, hotel deals, show deals, flight deals, freebies, guides and travel tips. I LOVE Vegas and go 3-4 times a year. I know a lot about sin city and have partnered with many Vegas insiders and experts to share their best tips and insights. You have to checkout the site if you or know someone going to Vegas soon. You’ll find lots of amazing deals and travel tips that’ll help save you money and plan your trip. Make sure you join my Vegas VIP Email List to stay up-to-date with the hottest Vegas deals. Please help spread the word and tell your friends and family about JustVegasDeals.com. Also, if you’re ever travelling to other cities in Canada, I have deals blogs in the following Canadian cities: Toronto, Calgary, Vancouver, Edmonton, Ottawa, Winnipeg and Montreal. Click here to check out JustVegasDeals.com now. OttawaDealsBlog.com is updated daily and features the best and hottest deals, sales, coupons, freebies, discounts in Ottawa, Ontario, Canada. Save up to 50-95% Off! Join our free daily deals mailing list and never miss a deal again! Copyright © 2010-2019 Ottawa Deals Blog. All Rights Reserved.